Free for first 30 persons registered! William Yang is a Senior Business Consultant and Best Seller’s “Secret of the Dragon” & “Dragon Slayer Strategy” author. Besides having ability in Market penetration strategy, Business development, Investment analysis, Business analysis, Strategic planning, Design, User experience, Writing, and Strategic planning. Fond of history and business case research, which may have reached hundreds of cases. A very creative strategic thinker, capable of directing a client’s company to attack the market through a point that is completely unexpected. Join the Preview Session Agenda and also breakfasting with all community! 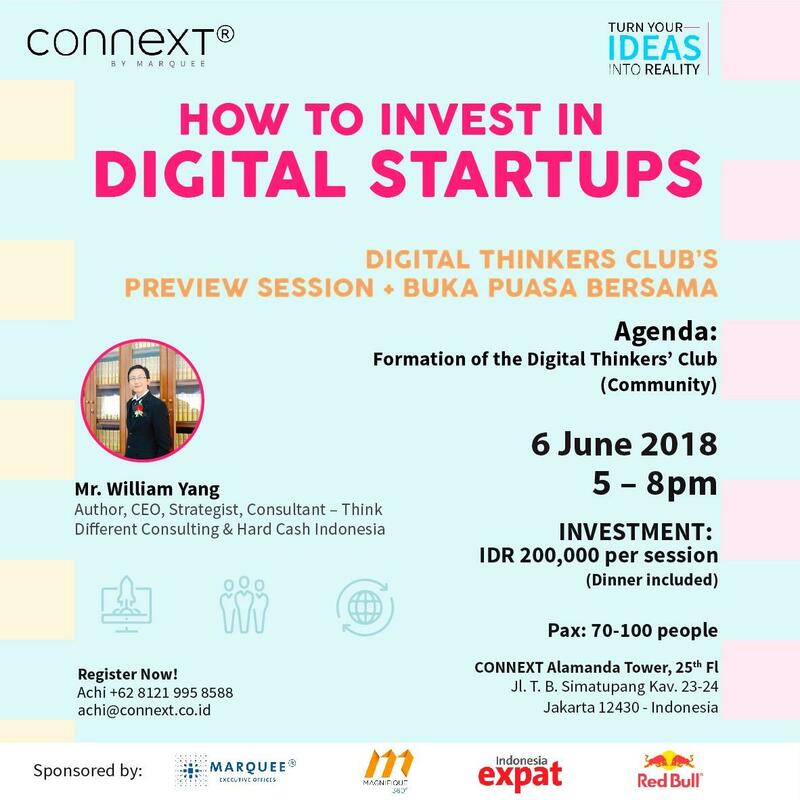 Investment : IDR 200,000 (Dinner included)* Book your space now! Limited only for 50 persons!